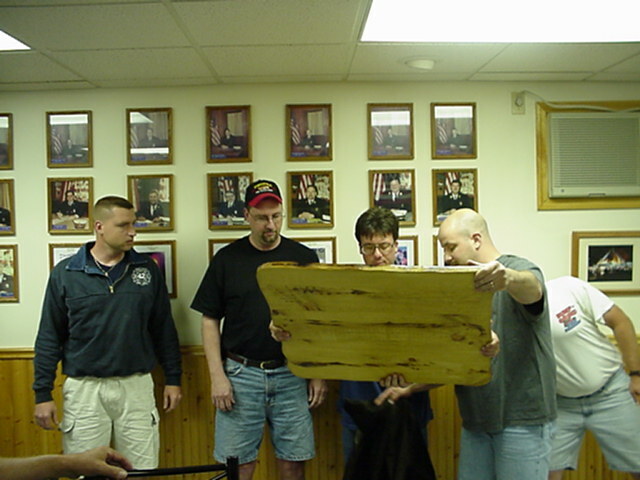 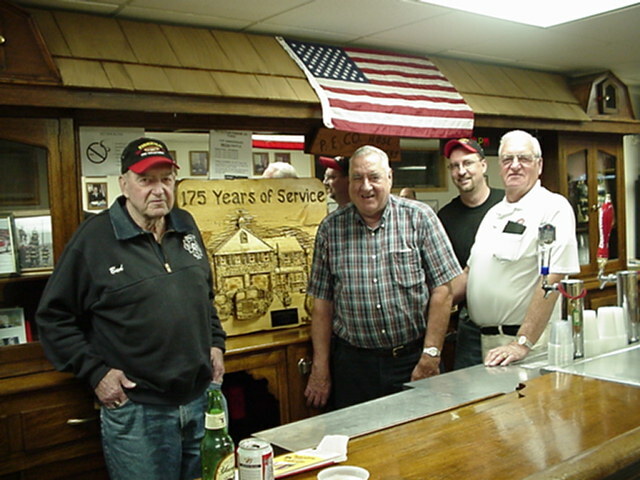 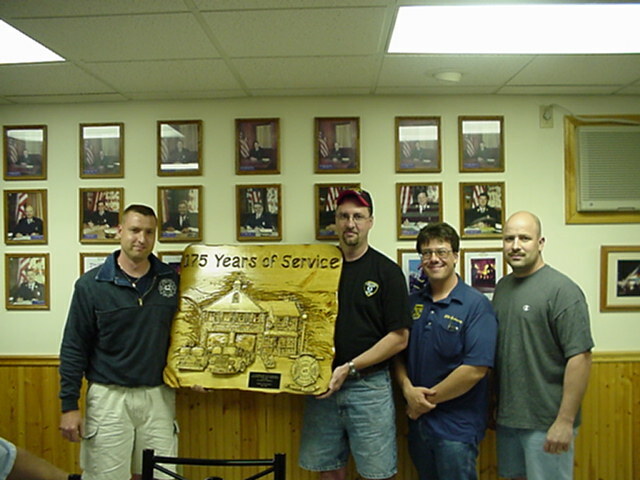 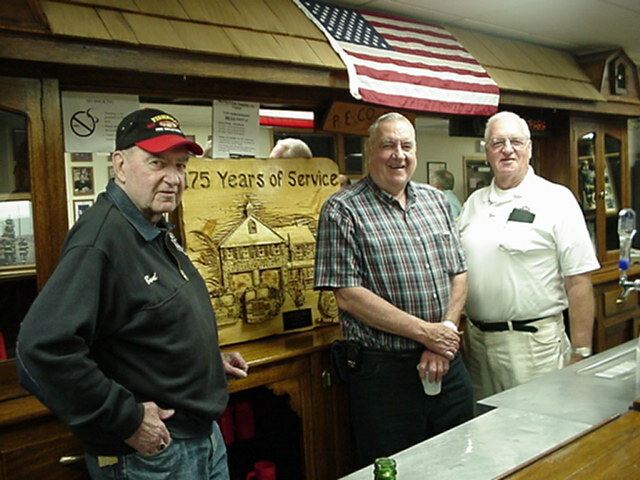 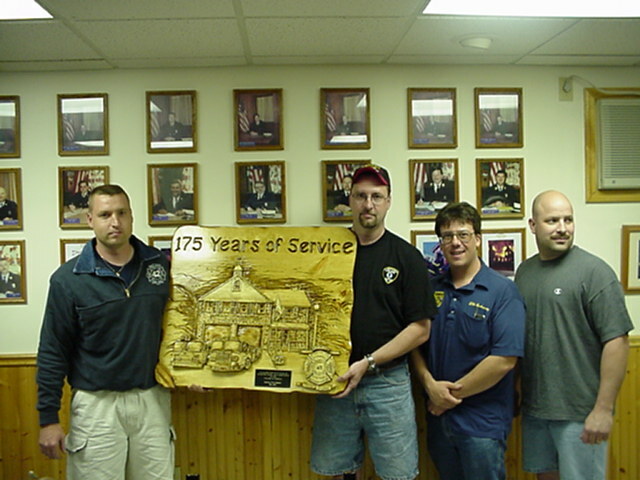 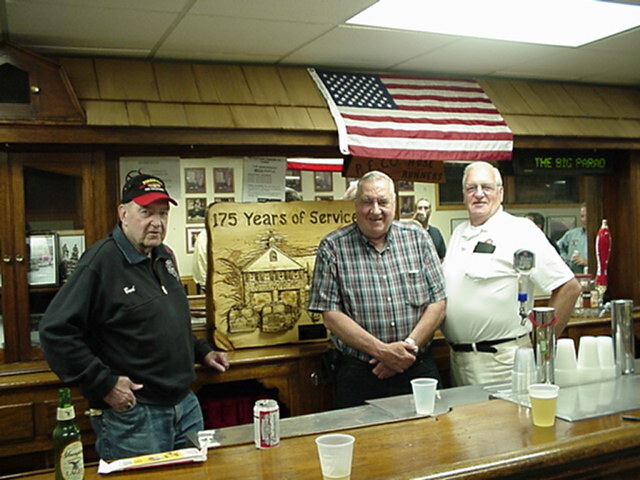 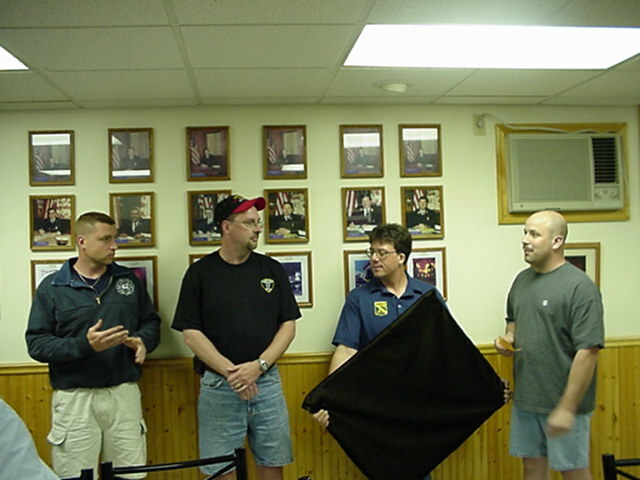 On Tuesday night, June 1, 2004, the Officers and Members of the Rombout Fire Company visited their Brothers at the Village of Fishkill Fire Station. 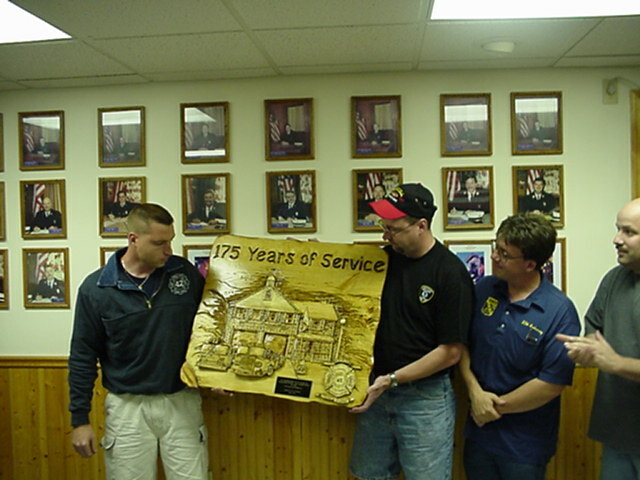 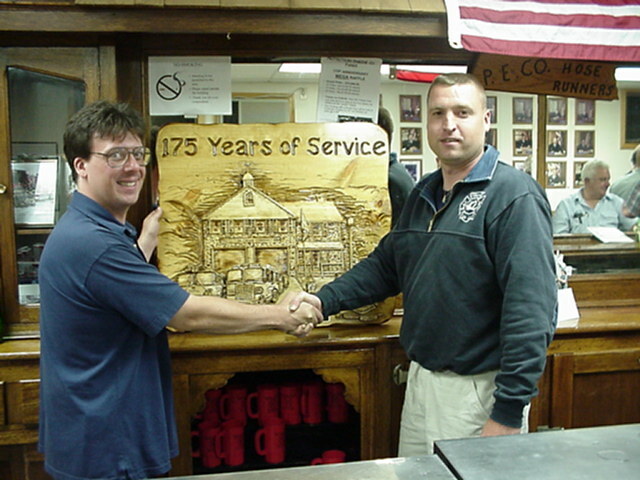 The purpose of this trip was to present the Members of Protection Engine Company with a 175th Anniversary Plaque depicting their Fire Station. 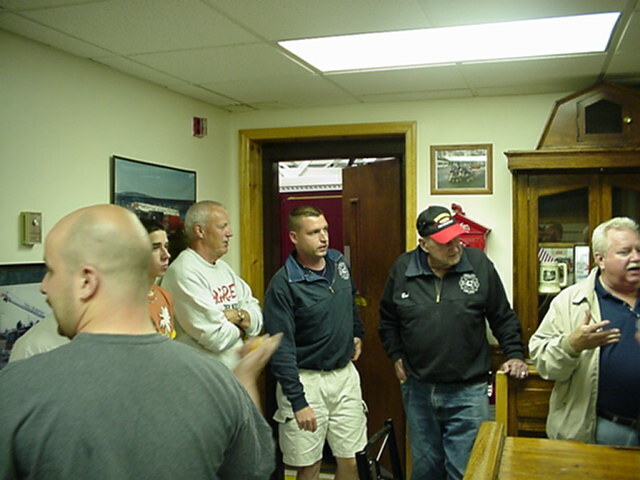 After the presentation the members of both houses spent the rest of the evening socializing, and enjoying the ongoing friendship shared by the Rombout and the Village of Fishkill Fire Departments.